1956 ~ Began radio career with radio station CHOV in Pembroke Ontario. Was hired by Bill Kutchke (Bill K on air) in September of that year. Hired as the evening announcer, 6pm till midnight and signoff. Stayed with the station for a little less than 2 years. 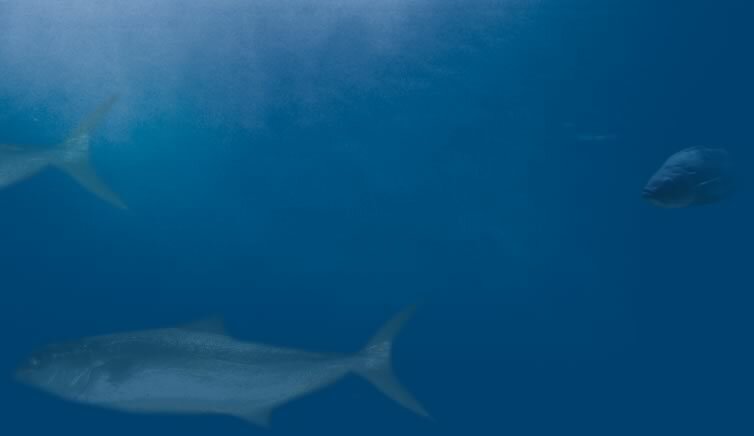 Eventually moved to the morning slot from evenings. Did court reporting and news writing as well as working a few hockey games with Bill Kay as the color commentator. Was the host of a couple of Trans Canada Network country shows with Earl Mitton and the Ottawa Valley Melodiers when regular host Pat Leonard was sick. It was quite exciting and nerve wracking being broadcast all across Canada, with such little experience under my belt. Left the station in 1958. 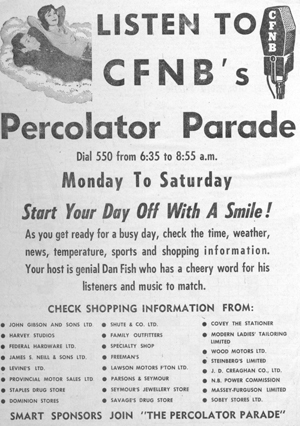 1958 ~ Moved to the morning slot on radio station CFNB in Fredericton New Brunswick, and began a stint there that lasted three years. Worked 14 straight days, then had two off. The morning show was from 5:30 till 9, then I read newscasts till 1pm. I wrote and produced a couple of documentaries while at CFNB, one was for the New Brunswick Department of Forestry. I developed and produced a weekly talent show in conjunction with personnel at armed forces base Camp Gagetown that was highly popular. I traveled with a country band weekly, broadcasting from various communities around New Brunswick. I was responsible for the technical set up of the show and MC'd on stage for the event. Frequently in the morning we had music acts, and groups visit the show on their way home after all night gigs at various centers in the province. The Diamond Trio were regulars as was Freddy McKenna, a blind country singer who was a regular on CBC's Singalong Jubilee out of Halifax. Freddy is a member of the New Brunswick Country Music Hall Of Fame. He died while doing a gig here in Cambridge , far too early to pass on. Left CFNB in May of 1961 and headed home to Ontario. 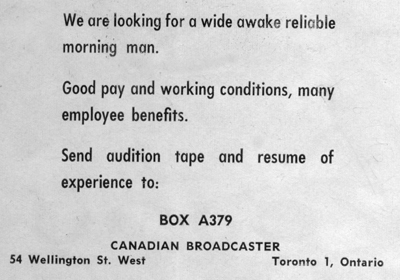 1961 ~ Began as the mid-morning man with CKKW radio. Hired by Don Willcox who is now a good friend. CKKW was purchased by CKCO-TV in 1962 after the death of Alan Hodge the station manager, who passed away just three months after I was hired. We moved from the Dunker building in downtown Kitchener to 864 King Street West, the TV station building in 1963. I became the program director of CKKW in 1964 and spend 18 years in that position. I was originally the mid-morning host, but then took over as a talk show host for nearly 18 years. I was doing the color commentating on the Kitchener Ranger hockey broadcasts during this time as well, and travelled with them team. I worked with a few hockey play-by-play announcers, Hugh Bowman, Ron Reusch, and Mike Nolan. I suffered a heart attach in 1978 and gave up my management responsibilities and returned to on air work, making the switch from CKKW to sister station CFCA-FM, as swing announcer, then took over the morning show where I spent the last seven years of my 44 year career in broadcasting. The stations were sold to CHUM in 1994 and I retired and accepted a teaching position at Conestoga College in the Radio Television Course where I spent 5 years, finally retiring June 1 of 2000. I still do voice over work, and radio features for community radio station CKWR in Waterloo.